I’m taking a break from Thailand/Cambodia posts to write about our Easter weekend in Los Algodones, Mexico. Julio’s family is from the area just outside of Yuma, Arizona, and we try to go down for the Holy Week each year and celebrate. The Easter holiday is the second most important celebration for Mexicans, behind Christmas, and many people go on vacation for the weekend. 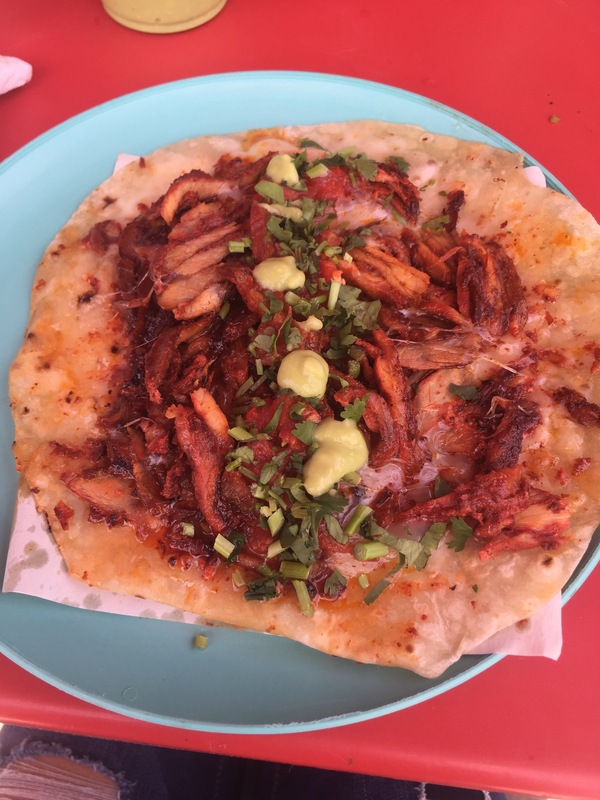 Certain cities are known for their extravagant celebrations, and Los Algodones is no exception. 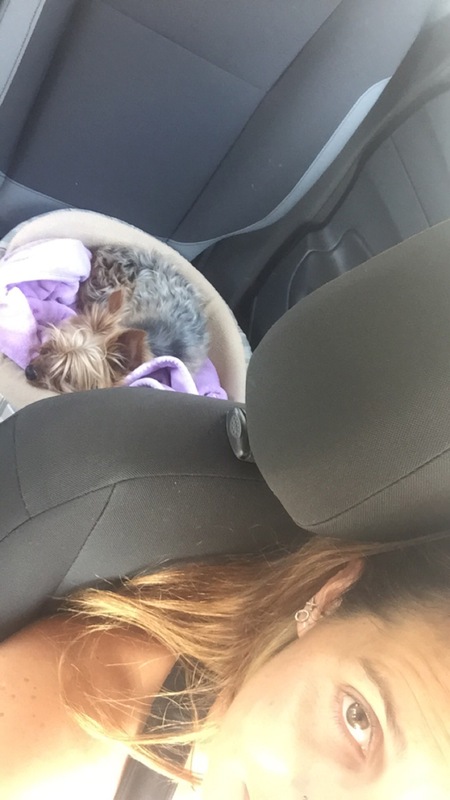 My road dog being a such a good traveler! Julio went down to Mexico on Thursday evening after work with our new Jeep, which we were very excited to try out on the dunes. Thursday, Friday and Saturday nights are the busiest nights of the celebration, with hundreds of vehicles racing up on the sand dunes and parties and the carnival down below. I didn’t arrive until Saturday morning because I had to work, and when I got there Julio and his uncle were doing some work on the front right axle. His uncle is a mechanic, and told us that someone had previously done work on that same axle, and hadn’t done a very good job, so he did his best but it was bound to snap eventually. We made it out to the dunes just before sunset and took a few laps around to check out the sights. In the center of the dunes there a large flat area for racing, some of which is blocked off by tires for “lanes,” otherwise you just line up next to each other. Some of the work people have done on their trucks and Jeeps is amazing, and their speed is incredible. Julio and I’s Jeep isn’t quite to that level yet but we’re working on it. After sunset we went back down to Julio’s uncle’s house to pick up the rest of the family and the kids who wanted to go to the carnival. 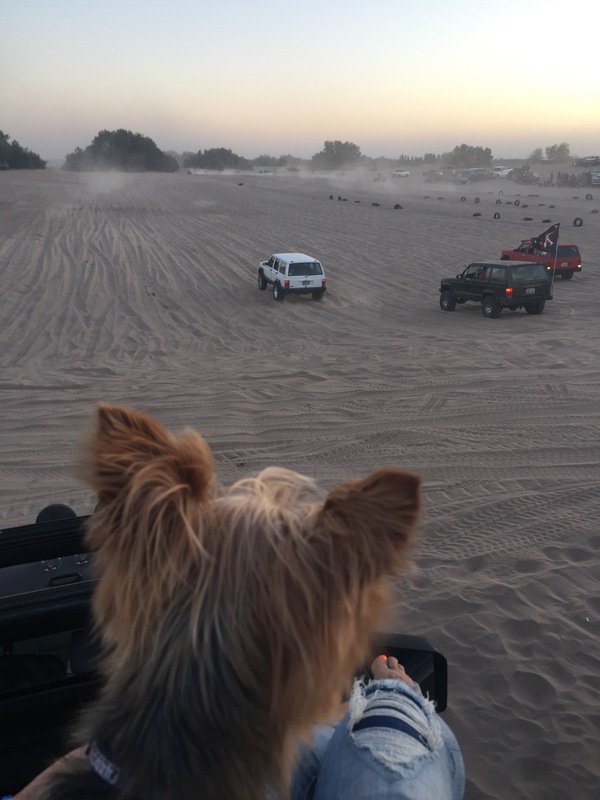 We rode back over to the dunes and Julio thought he heard a snapping sound. Lo and behold, the axle had snapped. We slowly drove the Jeep back to his uncle’s after dropping the family off and got a ride back. We spent the evening at the top of the steep hill overlooking the carnival, watching other trucks race up. Julio’s cousin, Julio and I took his dad’s Cherokee a little later and raced up a few times- we won every race!! 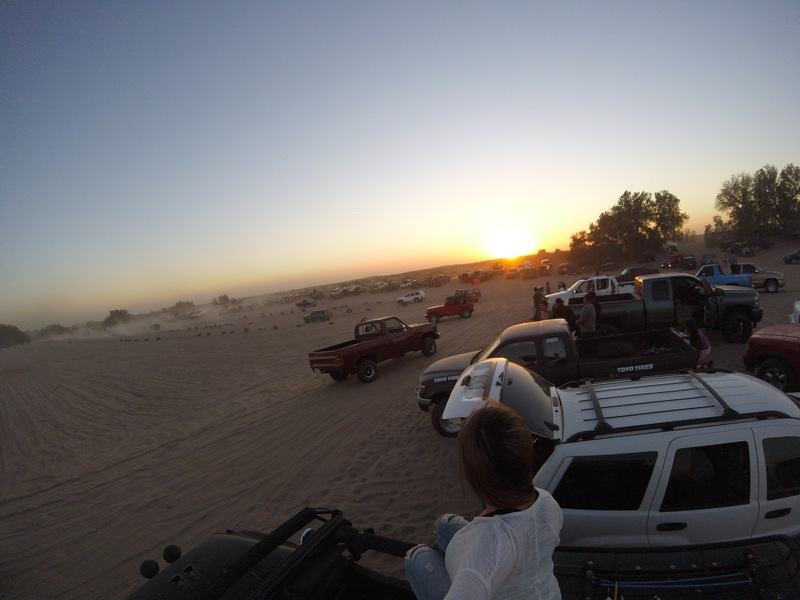 The only downside to the evening (besides the Jeep breaking of course), was the time when Julio, his cousins and I left the dunes to go pick up more beer. On the dunes you are allowed to do whatever you want: drink, party, race, etc. Once you are back on the road, obviously there’s no drinking and driving. As we headed to the liquor store, Julio’s cousin suddenly said “there’s police behind us,” and pulled over quickly. Two police cars pulled up behind us and told everyone to get out of the car. As I was getting out, they told me I could stay seated. They searched the car and accused the guys of drinking and driving, and speeding, which we were doing neither of. Suddenly, the boys were all handcuffed together and being pushed into the police truck! I asked what was going on and all the cop would tell me was that we were going back to the station until the “fine” was paid. A short ride later, I was sitting in the parking lot of the Mexican police station while Julio talked their way out of a larger fine, and ended up giving the police 500 pesos, or about $35. That put a slight damper on my evening but the guys said it was normal and that the cops were just trying to get some money. We spent Sunday relaxing at Julio’s uncle’s house and enjoying some delicious Mexican food, although I didn’t get the churro that I was craving all weekend! 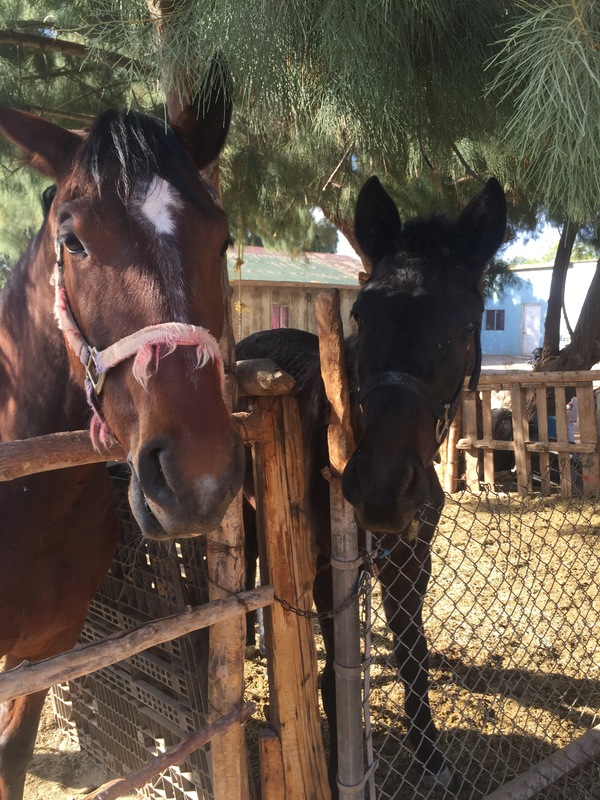 I wandered around and got some photos of Julio’s uncle’s horses (one bit me trying to find a snack!) and we just enjoyed some time with his relatives. The Holy Week is always a fun celebration in Mexico and partying with family is the way to go! !